The Turkish Get Up (TKGU) is one of the best yet most under-used exercise you can find in the gym. This is largely down to the complex, technical nature of the movement. It is a great tool for injury prevention, warm up, strength gains, conditioning, fat loss, movement development and screening. At Actuate Personal Training we have had great success using it with athletes, beginners and post surgery rehab clients. 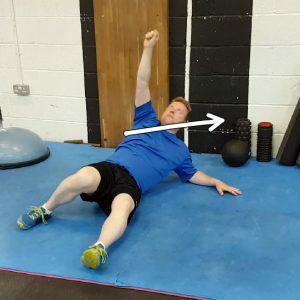 So here, I will give you a simple, step by step guide on how to perform the Turkish get up and how to programme it into your training. 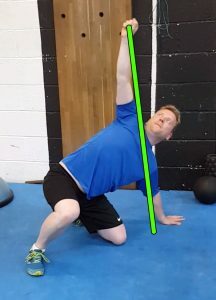 The TKGU can be explained as simply getting from a lying down position to a standing position. Whether you have a weight in your hand or not is totally dependant on your goal and ability but start without a weight. If you decide to use a weight later on then a kettlebell is the best place to start as the weight is centred over your arm. Dumbbells are a little harder and then a barbell for a really grip and core workout. Needless to say, don’t drop it on yourself! Keep your eyes on the weight the whole time. this is key, most people and trainers perform the Turkish get up without this position, they simply miss it and therefore miss one the most beneficial aspects of the exercise. once you have planted your knee take your left hand off the floor and straighten your body up. You should be in a tall kneeling position with the right foot planted on the floor, knee bent at 90 degrees, left knee on the floor, bent also at 90 degree. Right hand still pointing to the ceiling. This is a great exercise for many reason and can be used in lots of ways. Here are a few suggestions of how we use the Turkish get up with clients. For a warm up and mobility drill (it also gets your brain working): No weights, just perform the whole movement with the hand pointing up in the air. Perform 5 on the right side and then 5 on the left. To ramp it up a little you can then hold a light dumbbell in the hand overhead and repeat. If you want to add an extra mobility element you can perform a windmill once in the standing position. For strength training: It sounds simple but go heavy. You will need to start with a light weight and build up but it should be a little less than you can military press with one arm. This rep should be ultra slow. Pausing, breathing and tensing at each stage before moving on to the next. Get a heavy KB or even a barbell if you can handle it. Do one rep on each side with a 3 minute rest in between. For conditioning and fat loss: Find a kettlebell that you can comfortably perform the Turkish get up with, nothing too heavy. Now perform 20 reps in 5 minutes, alternating left and right each time. If you can do it and not be dying in a puddle at the end you need to go heavier. And then try 30 reps in 5 mins. You have been warned, this is ridiculously hard! 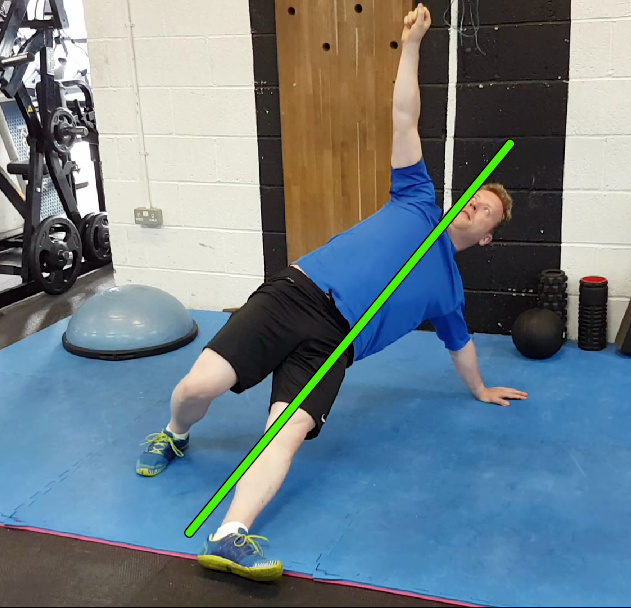 The Turkish get up is very technical and should be carried out under the supervision of a trainer, at least when you first start out. Master the basics. Once you can do it well with no weight then work on using a light kettlebell. Only progress when you are ready. For more information or a hands on lesson on technical exercises like please don’t hesitate to get in touch.